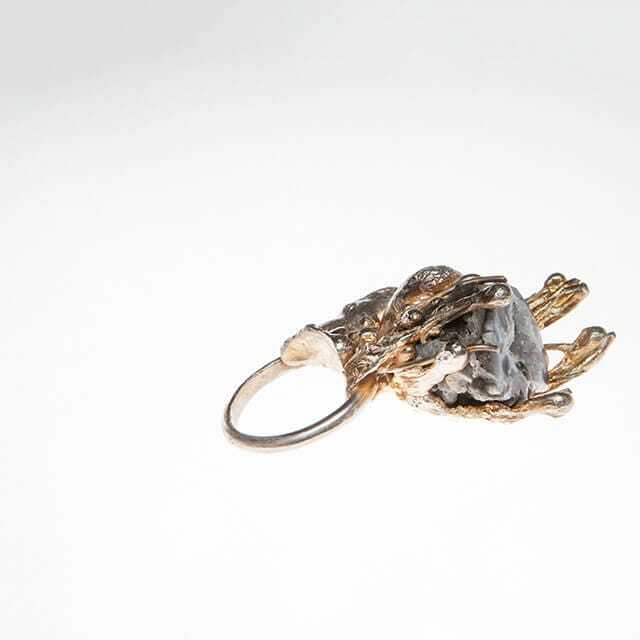 Poured droplets of molten silver run over the claws setting a rough agate stone in this ring. 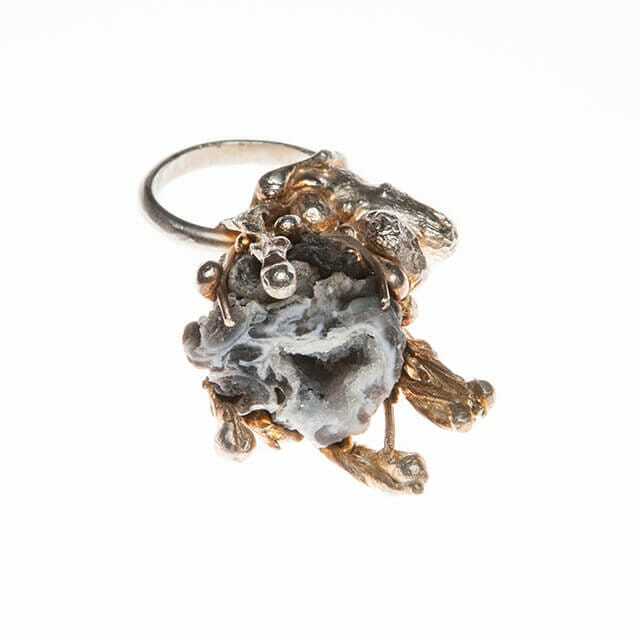 With a pale silver-gold oxidised finish this striking piece will attract attention. 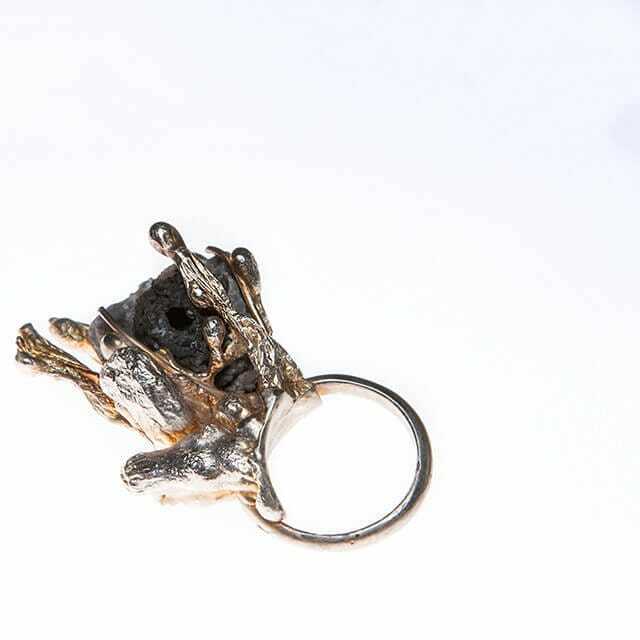 It is a one-of-a-kind piece. 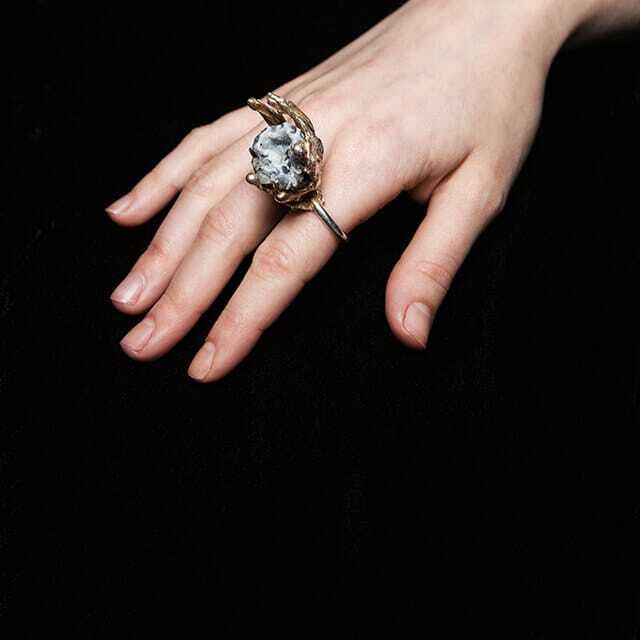 This striking ring exploits naturalistic textures and materials. Fluid silver flows, droplets and ribbons clasp a rough agate stone, itself rippled and revealing its interior crystalline core. On an intimate scale, it is part of a collection inspired by the larger experiments of American land-artist Robert Smithson. In the 1970s he poured asphalt, glue, rubble and other materials upon quarries, buildings and hillsides as comments on natural chaos, decay and geological forms.